Going shopping this weekend? Keep an eye out for these gifts, perfect for any manicure lover. Do you have a 'tween' on your shopping list? 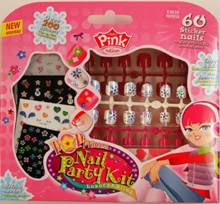 Tweens love to dress up and get creative with their look, and now young pop princesses can have cool, unique, nails with the new Holiday Party Kits from Pink by Kiss. Party Kits include 60 press-on nails that fit snugly on small fingers - 20 design nails, and 40 solid nails in order to mix and match and wear on more than one occasion. Dashing Diva introduces new Metallic Design Nails on the Go – shiny, pre-glued, press-on nails designed to add spark to any holiday style. The metallic toned nails have adhesive already on each nail, for simple application. Once applied, these nails can be worn for a single event or up to several days after. To remove, simply soak nails in warm water and peel away, with no damage to the natural nails. 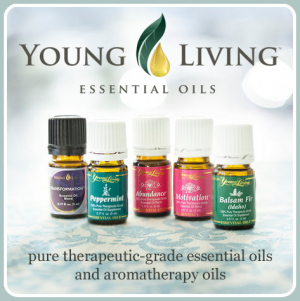 • Quick & easy - No messy polish or drying time. Simply press-on and go! • Fun & trendy - Designed for the fun-loving trend-setter who knows how to command attention. 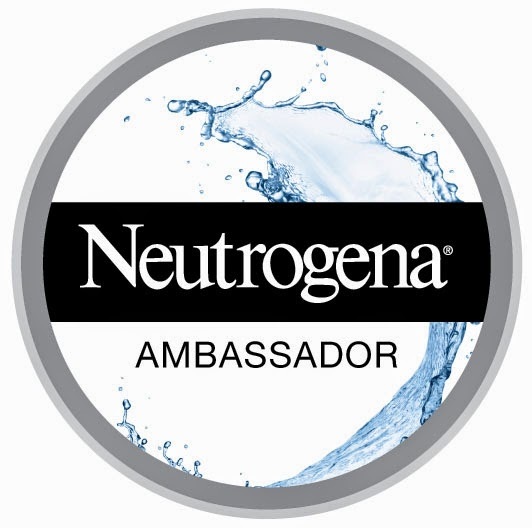 • Worry free - No damage to natural nails. Just soak off in warm water to remove. This all-inclusive kit is the best nail gear for any beauty buff who wants her nails to look polished, professional and perfectly presentable (without ever actually stepping inside the salon). Filled with effortless essentials, such as Cuticle Nippers, Nail Clippers, Nail Scissors, Wood Cuticle Sticks, Nail Brush, Washable Salon Board, 4-Way Nail Buffer, and Slant Tip Tweezers, this beauty booty is packed with everything you will ever need to keep nails looking their best. This kit is lovely. The two-sided pouch is perfect for seperating tools and nail polish. It's pretty compact, everything fits in the kit well, which makes it convenient to throw into any bag that you're packing. It has every nail emergency tool in it. You can find Ms. Manicure products at Target, Kohl's, Rite Aid, Ulta and Wal-Mart (more listed here). 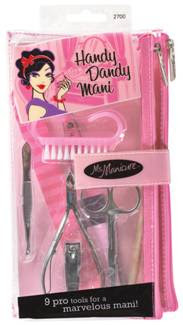 Handy Dandy Mani kit retails for $9.99.